We proudly serve the Seattle area, including Marysville, Snohomish, Skagit, and Whatcom Counties, Mount Vernon, Everett, Tacoma, Whidbey Island, Bellevue, Kirkland, Issaquah, Sammamish and all of Western Washington. We are available for travel to the European Union (EU) Economic Zone, including Germany. Events by Heather & Ryan is a husband and wife wedding photography studio located just north of the Seattle area in Marysville. Our studio provides creative and affordable wedding photography, videography, photo booth and wedding coordination services for our couples. Since 2007, we’ve personally photographed over 400 weddings around the area and around the world. For most brides, the task of wedding planning is the single biggest planning event that most will undertake in our lives. A big part of that planning is selecting your wedding photographer. In fact, when you look at it, your wedding photographer is one of the most important vendor choices you’ll make. 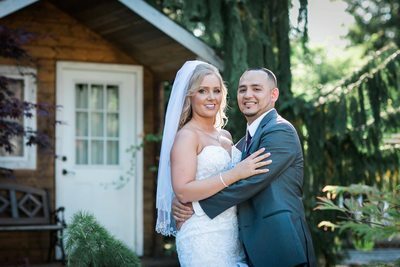 Since the beginning, our studio has become one of the most sought after professional wedding photographers in Seattle area, including Marysville, Snohomish, Skagit, and Whatcom Counties, Mount Vernon, Everett, Tacoma, Whidbey Island, Bellevue, Kirkland, Issaquah, Sammamish and all of Western Washington. Our specialty – high quality, yet affordable wedding photography, videography, photo booth and wedding coordination services. Our team uses documentary style, story-telling approach to every wedding. 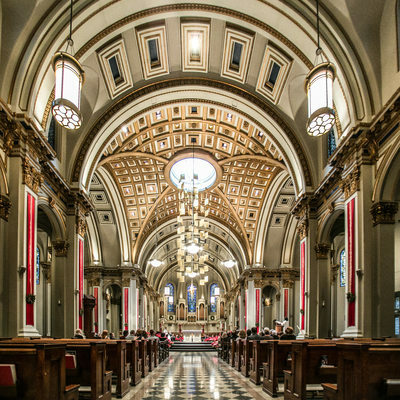 Understanding your vision is the key to getting the best wedding photographs. Your wedding day is the story of your lives, and our goal is to capture and tell that story in a way that expresses emotion and detail. Just as photojournalism tells a story – documentary photography takes those same images and brings life to them and explains the story leading up to them in pictures. The end result allows you to not only look at your pictures, but the essence captivates your imagination and allows you to relive your wedding through our photographs. By selecting our studio for your wedding, our goal isn’t to simply take pictures at your wedding. Our ambition is to discover and understand your vision and expectations for the photographs on your special days. Our process choreographs your day and our non-intrusive direction puts you at ease. Knowing what’s important to you and how you want your story told is paramount. The key to creating prized and cherished wedding photographs lies in knowing how you want to remember your wedding. And the answer to that question is different and unique with every couple we meet and for every wedding we photograph. It’s not the “what” question we want to answer. It’s the “why”. But in the end, it’s these kinds of details that ensure you’ll be happy with the high quality and personalized service we provide to you. The better we know you, the better we’ll be able to photograph your wedding. And in the end, our pictures will speak for themselves and you’re going to love what we give you. 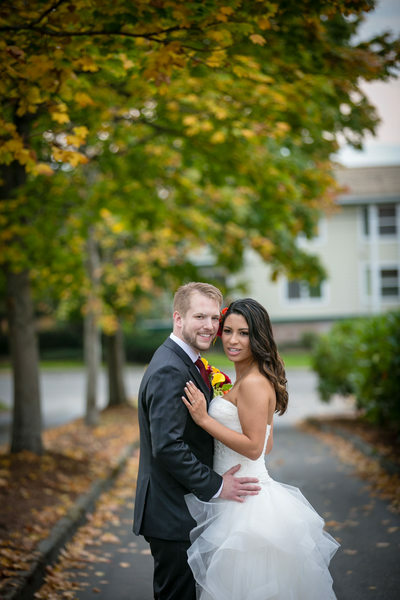 As your photographer, your experience with us doesn’t start or end the day of your wedding. We’ll get to know you before the wedding, starting the day we first meet. We’ll be with you during your entire wedding reception, capturing the most important – the most intimate moments for you so you can relive them years from now. We’ll then carefully cull through, categorize and process each photograph through a vigorous post-production process. The final photographs we provide to you will be unique and exclusive of each other. Each photograph tells its own story, and our mission is to uncover the story for you. We hope that your first encounter with our studio is only the beginning. Many of our clients develop a lifetime relationship with us at their photographer of choice for the events in life that come along later, like anniversaries, pregnancies, newborn and infants, boudoir (for those special romantic occasions) and more. Our studio proudly offers family portrait photography as well. Whether you’re having a small get together or a huge 200+ guest wedding, we offer a unique approach that blends creative elements with the best experience designed to match your personality. As you know, no two weddings are alike. Your wedding day is the first chapter in the story of your lives together and our job is to capture every aspect of your wedding day from your interaction together down to the details and everything in between. In the end, you’re left with something magical that can forever be cherished. If you are in Seattle area, including Marysville, Snohomish, Skagit, and Whatcom Counties, Mount Vernon, Everett, Tacoma, Whidbey Island, Bellevue, Kirkland, Issaquah, Sammamish and all of Western Washington, and you’d like to meet us up close and in person, or if you have questions about what our studio can do for you, please call or email us for more information. We’d love to sit down over coffee to discuss your wedding or other photography goals. Chances are, if you’re reading this, you like our work and you’ll love what we can do for you. Events by Heather and Ryan: Capturing Precious Moments in and around the Seattle area Getting marries in a few months’ time yet still undecided on whom to contact regarding wedding photography? Then fret no more. Events by Heather and Ryan is just a phone a call away to give you professional wedding photography service Seattle, professional wedding photography service Mount Vernon, professional wedding photography service Everett, professional wedding photography service Bellevue, professional wedding photography service Snohomish, professional wedding photography service Tacoma, professional affordable wedding photography service Seattle professional affordable wedding photography service Mount Vernon, professional affordable wedding photography service Everett, professional affordable wedding photography service Bellevue, professional affordable wedding photography service Snohomish, and professional affordable wedding photography service Tacoma at competitive prices. Offering a wide array of wedding photography packages from wedding photography service Seattle, wedding photography service Mount Vernon, wedding photography service Everett, wedding photography service Bellevue, wedding photography service Snohomish, wedding photography service Tacoma, affordable wedding photography service Seattle, affordable wedding photography service Mount Vernon, affordable wedding photography service Everett, affordable wedding photography service Bellevue, affordable wedding photography service Snohomish, and affordable wedding photography service Tacoma, we’ve got all covered. Your wedding photography Seattle, wedding photography service Mount Vernon, wedding photography service Everett, wedding photography Bellevue, wedding photography Snohomish, wedding photography Tacoma, affordable wedding photography Seattle, affordable wedding photography Mount Vernon, affordable wedding photography Everett, affordable wedding photography Bellevue, affordable wedding photography Snohomish, and affordable wedding photography Tacoma will be the last thing you’ll worry about. We are composed of amazing individuals who knows the both the technical and creative aspects of wedding photography Seattle, wedding photography service Mount Vernon, wedding photography service Everett, wedding photography Bellevue, wedding photography Snohomish, wedding photography Tacoma, affordable wedding photography Seattle, affordable wedding photography Mount Vernon, affordable wedding photography Everett, affordable wedding photography Bellevue, affordable wedding photography Snohomish, and affordable wedding photography Tacoma. Rest assured that our team will be able to capture each and every moment of your wedding. We are dedicated to providing comprehensive and quality wedding photography service Seattle, wedding photography service Mount Vernon, wedding photography service Everett, wedding photography service Bellevue, wedding photography service Snohomish, wedding photography service Tacoma, affordable wedding photography service Seattle, affordable wedding photography service Mount Vernon, affordable wedding photography service Everett, affordable wedding photography service Bellevue, affordable wedding photography service Snohomish, and affordable wedding photography service Tacoma, from planning until the actual day itself. As such, we have been trusted in the industry of professional wedding photography service Seattle, professional wedding photography service Mount Vernon, professional wedding photography service Everett, professional wedding photography service Bellevue, professional wedding photography service Snohomish, professional wedding photography service Tacoma, professional affordable wedding photography service Seattle professional affordable wedding photography service Mount Vernon, professional affordable wedding photography service Everett, professional affordable wedding photography service Bellevue, professional affordable wedding photography service Snohomish, and professional affordable wedding photography service Tacoma for many years already. We also use industry-compliant and modern photography equipment for all of our wedding photography service Seattle, wedding photography service Mount Vernon, wedding photography service Everett, wedding photography service Bellevue, wedding photography service Snohomish, wedding photography service Tacoma, affordable wedding photography service Seattle, affordable wedding photography service Mount Vernon, affordable wedding photography service Everett, affordable wedding photography service Bellevue, affordable wedding photography service Snohomish, and affordable wedding photography service Tacoma. Our wedding photography packages can either be pre-arranged or customized. Hence whatever package you choose, whether it’s professional wedding photography service Seattle, professional wedding photography service Mount Vernon, professional wedding photography service Everett, professional wedding photography service Bellevue, professional wedding photography service Snohomish, professional wedding photography service Tacoma, professional affordable wedding photography service Seattle professional affordable wedding photography service Mount Vernon, professional affordable wedding photography service Everett, professional affordable wedding photography service Bellevue, professional affordable wedding photography service Snohomish, and professional affordable wedding photography service Tacoma, we’ve got you covered without breaking your wallet. At Events by Heather and Ryan, we take pride on ensuring that we conduct our wedding photography service Seattle, wedding photography service Mount Vernon, wedding photography service Everett, wedding photography service Bellevue, wedding photography service Snohomish, wedding photography service Tacoma, affordable wedding photography service Seattle, affordable wedding photography service Mount Vernon, affordable wedding photography service Everett, affordable wedding photography service Bellevue, affordable wedding photography service Snohomish, and affordable wedding photography service Tacoma with utmost professionalism all throughout. Be it wedding photography Seattle, wedding photography service Mount Vernon, wedding photography service Everett, wedding photography Bellevue, wedding photography Snohomish, wedding photography Tacoma, affordable wedding photography Seattle, affordable wedding photography Mount Vernon, affordable wedding photography Everett, affordable wedding photography Bellevue, affordable wedding photography Snohomish, or affordable wedding photography Tacoma, we never compromise the quality of our outputs and working relationships with our customers. Our photographers are very friendly and accommodating so as to make our clients feel comfortable all throughout the wedding photography service Seattle, wedding photography service Mount Vernon, wedding photography service Everett, wedding photography service Bellevue, wedding photography service Snohomish, wedding photography service Tacoma, affordable wedding photography service Seattle, affordable wedding photography service Mount Vernon, affordable wedding photography service Everett, affordable wedding photography service Bellevue, affordable wedding photography service Snohomish, and affordable wedding photography service Tacoma. Aside from being highly-skilled and creative, our team employs documentary style and story telling approach when conducting wedding photography Seattle, wedding photography service Mount Vernon, wedding photography service Everett, wedding photography Bellevue, wedding photography Snohomish, wedding photography Tacoma, affordable wedding photography Seattle, affordable wedding photography Mount Vernon, affordable wedding photography Everett, affordable wedding photography Bellevue, affordable wedding photography Snohomish, and affordable wedding photography Tacoma. Further, we also do several meetings with our clients to ensure that we get their vision and that we are on the same level on what they want on their wedding photography Seattle, wedding photography service Mount Vernon, wedding photography service Everett, wedding photography Bellevue, wedding photography Snohomish, wedding photography Tacoma, affordable wedding photography Seattle, affordable wedding photography Mount Vernon, affordable wedding photography Everett, affordable wedding photography Bellevue, affordable wedding photography Snohomish, and affordable wedding photography Tacoma. 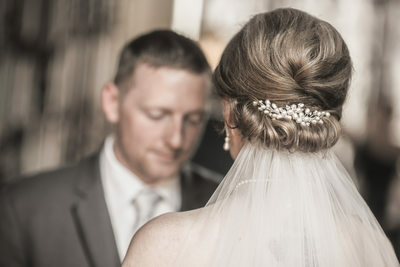 Creating rapport and establishing strong relationship with our clients is a must so as to make the conduct of wedding photography Seattle, wedding photography service Mount Vernon, wedding photography service Everett, wedding photography Bellevue, wedding photography Snohomish, wedding photography Tacoma, affordable wedding photography Seattle, affordable wedding photography Mount Vernon, affordable wedding photography Everett, affordable wedding photography Bellevue, affordable wedding photography Snohomish, and affordable wedding photography Tacoma seamless. Events by Heather and Ryan has the best people and equipment to immortalize your wedding! From wedding photography Seattle, wedding photography service Mount Vernon, wedding photography service Everett, wedding photography Bellevue, wedding photography Snohomish, wedding photography Tacoma, affordable wedding photography Seattle, affordable wedding photography Mount Vernon, affordable wedding photography Everett, affordable wedding photography Bellevue, affordable wedding photography Snohomish, to affordable wedding photography Tacoma, we can and we will deliver results which are beyond your expectations. If you’re based in Seattle or any other place around it and are looking for a good wedding photography Seattle, wedding photography service Mount Vernon, wedding photography service Everett, wedding photography Bellevue, wedding photography Snohomish, wedding photography Tacoma, affordable wedding photography Seattle, affordable wedding photography Mount Vernon, affordable wedding photography Everett, affordable wedding photography Bellevue, affordable wedding photography Snohomish, and affordable wedding photography Tacoma provider, then we are the company to reckon with! We promise to be professional and efficient without being too stiff/rigid when we do our job on wedding photography Seattle, wedding photography service Mount Vernon, wedding photography service Everett, wedding photography Bellevue, wedding photography Snohomish, wedding photography Tacoma, affordable wedding photography Seattle, affordable wedding photography Mount Vernon, affordable wedding photography Everett, affordable wedding photography Bellevue, affordable wedding photography Snohomish, and affordable wedding photography Tacoma. 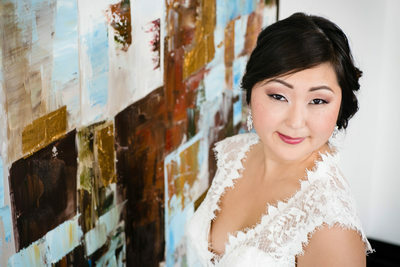 Call us now and inquire about our amazing packages on wedding photography Seattle, wedding photography service Mount Vernon, wedding photography service Everett, wedding photography Bellevue, wedding photography Snohomish, wedding photography Tacoma, affordable wedding photography Seattle, affordable wedding photography Mount Vernon, affordable wedding photography Everett, affordable wedding photography Bellevue, affordable wedding photography Snohomish, and affordable wedding photography Tacoma. If it's in Seattle, chances are we've been there. Great wedding venues like Golf Club at Newcastle, Hotel 1000, The Edgewater Hotel, the Seattle Aquarium, Lake Union Cafe, the Westin in Bellevue and more. 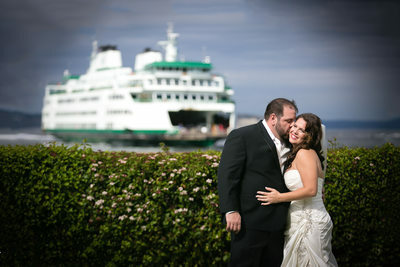 Weddings in the Seattle area are super fun since we enjoy a great atmosphere year round. Marysville gives a lot of great options for wedding and engagement photography, from the Marysville Opera House (which coincidentally is where we got married in 2005) to Jennings Park, Kayak Point and the Tulailip Casino. One of our favorite wedding venues, the Monte Cristo Ballroom is located in the heart of Downtown Everett. A short drive from the Everett Waterfront and the Naval Base, there are quite a few opportunities for a great wedding location. Also in Everett, the Everett Golf and Country Club gives you a nice country club style wedding option. The heart of Seattle's wedding industry lies in Snohomish. Nestled in the farmlands of Snohomish County, we've had the opportunity to photograph at some of the area's greatest wedding venues. Lord Hill Farms, French Creek Estates, Craven Farms, Hidden Meadows, Anthea Ballroom, Bell Chapel Golf Club at Echo Falls, and the Feather Ballroom are great locations for weddings of any size, style or budget. Nested in some less familiar parts of Snohomish County are some really great wedding venues. Natures Connection Place is located just north of Arlington along WA Highway 9 and Tazer Valley Farm, which is a great venue south of Stanwood. Halfway between Seattle and the Canadian Border lies the farmlands of Skagit County. We've had the opportunity to take memorable photographs at the Skagit Valley Tulip Festival, Beau Lodge, Grand Willow Lodge, Northern State Hospital and Anacortes.